Flooding in Hawaiʻi can occur following prolonged or heavy rainfall. Heavy rainfall upslope collects and flows downhill; thus low-lying areas below steep ridges are vulnerable. In some cases, prolonged rain contributes to flooding, because the ground is already saturated with water from earlier rainstorms and is unable to absorb additional water. In other instances, the amount of rainfall alone can produce flooding even if it is of short duration, if it is heavy enough. Floods may last several days. Flash floods (less than six hours of warning) can trigger landslides and bridge failures. Topography, soil conditions, and ground cover are contributing factors. 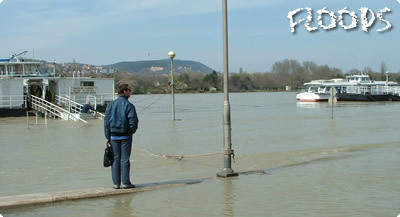 River floods generally result from rains associated with tropical storms or hurricanes. Coastal floods result from storm winds that drive ocean waves far inland. Floods are extremely dangerous, so it’s important to understand what to do during a flood. But there are also steps you can take now that will lessen the impact a flood will have on your home in the future.